Cycling in Slovenia truly is paradise. 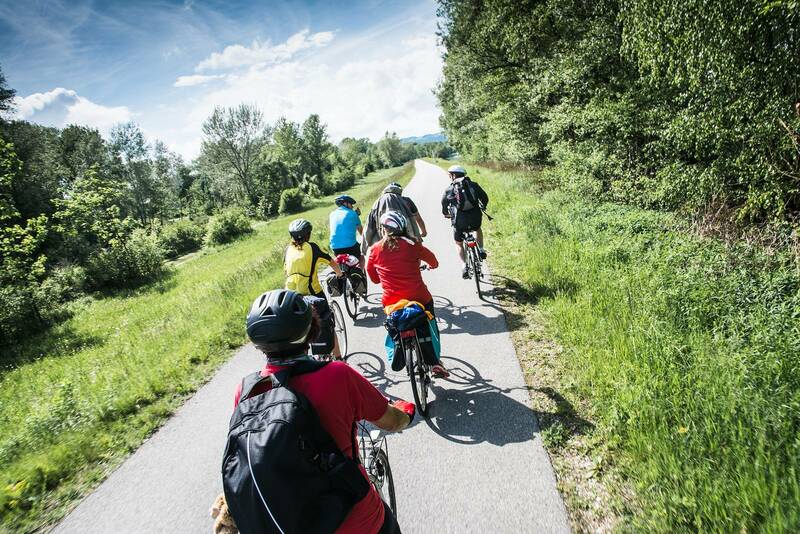 And this self guided cycling program offers the most important treasures of its dynamic landscapes; you'll start in elegant and leafy Slovenian capital city of Ljubljana, cycle to the world class attractions – the mighty caves of Postojna and Škocjan, before arriving to the charming Slovenian Adriatic coast. 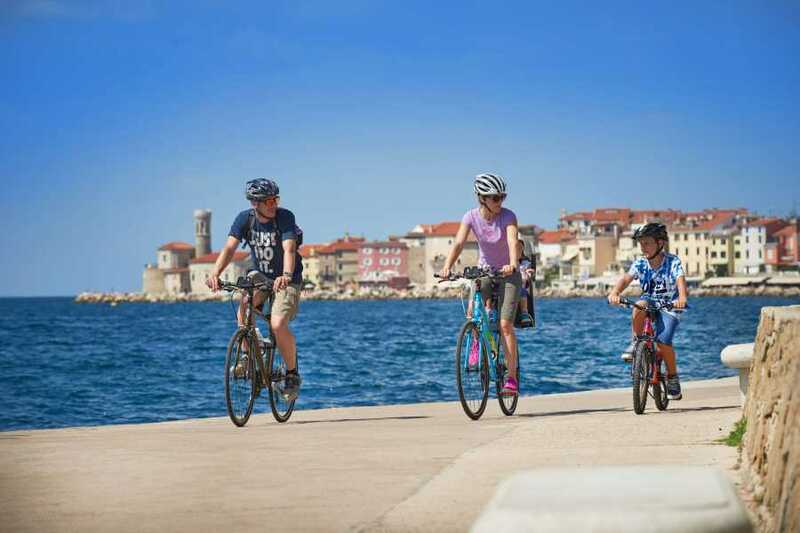 We are inviting you on a fantastic 7 days cycling holiday, where you will see the most important and most beautiful places Slovenia has to offer. .Bike rent includes Bicycle Repair Tool (puncture kit, spare inner tube, one set of Allen keys, one odometer, pump and one simple lock) – one set for two bikes. Electric bike 180 € (Scott E Sub Active Unisex + bike (back) pannier). – helmet 10 €. – Airport & city transfers available on request. Day 1: Individual arrival to Ljubljana. 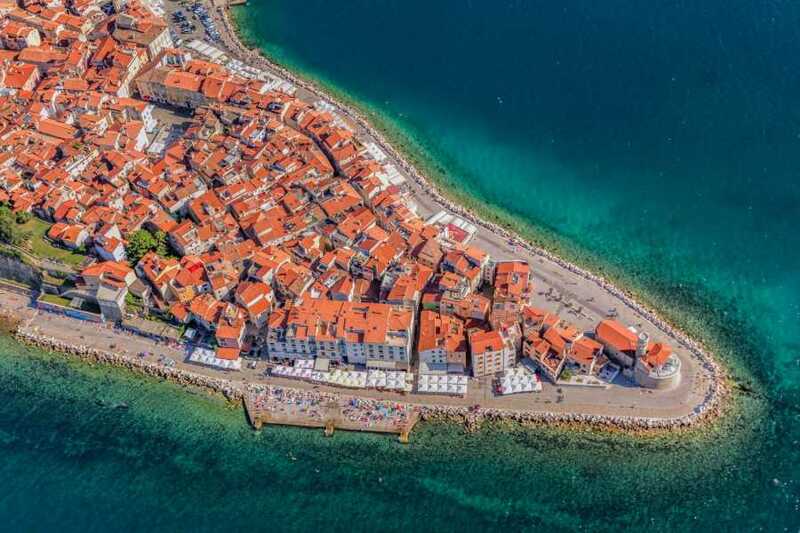 Discover this hidden gem of Europe. Ljubljana is a city with a green soul (European Green Capital 2016). It has preserved its small-town charm and, at the same time, can offer everything that all large capitals are able to. 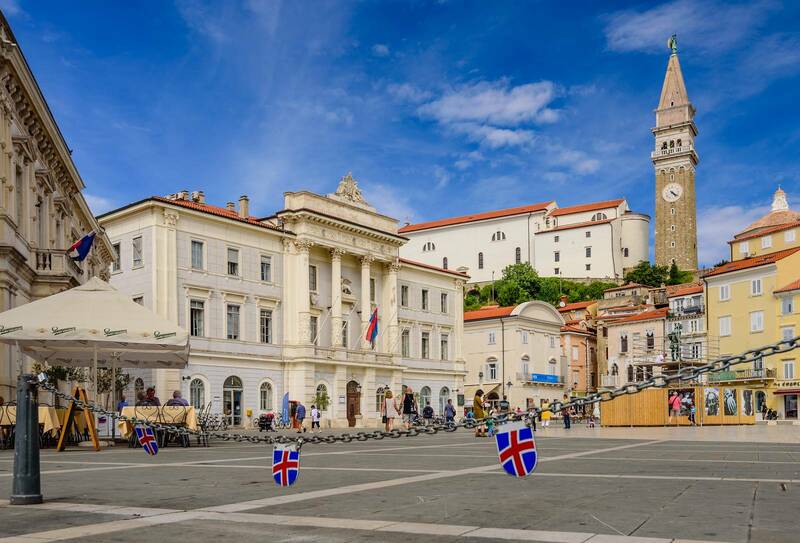 It has been marked by different historical periods (beautifuly seen in its varied architecture), and you will discover many beautiful attractions however one of the main ones, and one not to be missed is, Ljubljana Castle; standing on a hill overlooking the city and its surroundings for about 900 years (Hotel 3*). 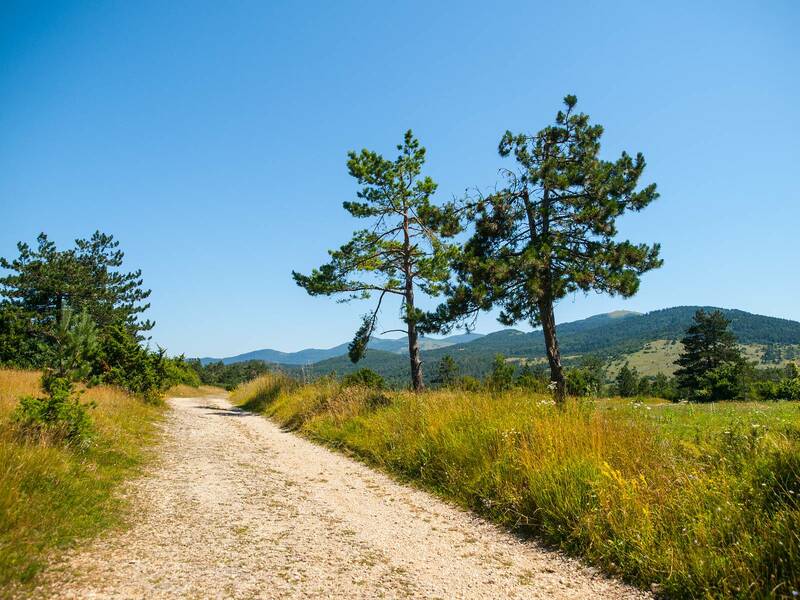 Day 2: Ljubljana – Logatec (approx 40 km, 520 elevation m). 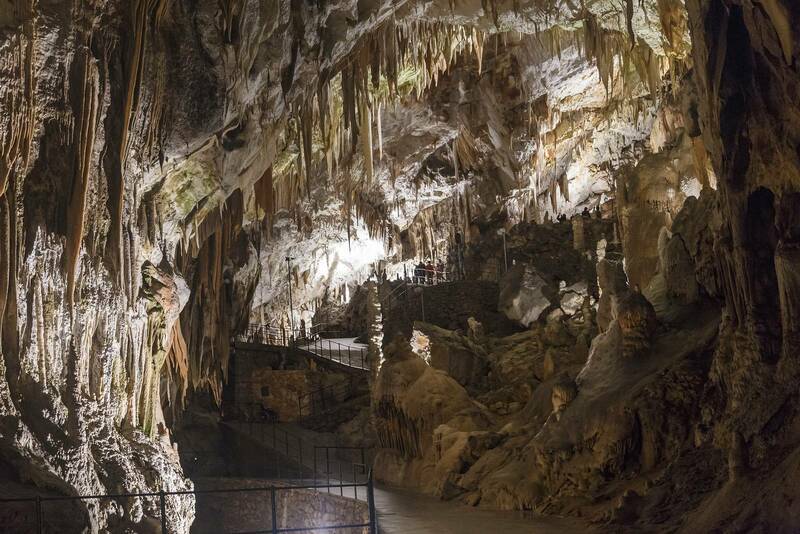 Another meandering cycling day which will lead you to Postojna, a place with two world class attractions; Postojna Cave and Predjama Castle. 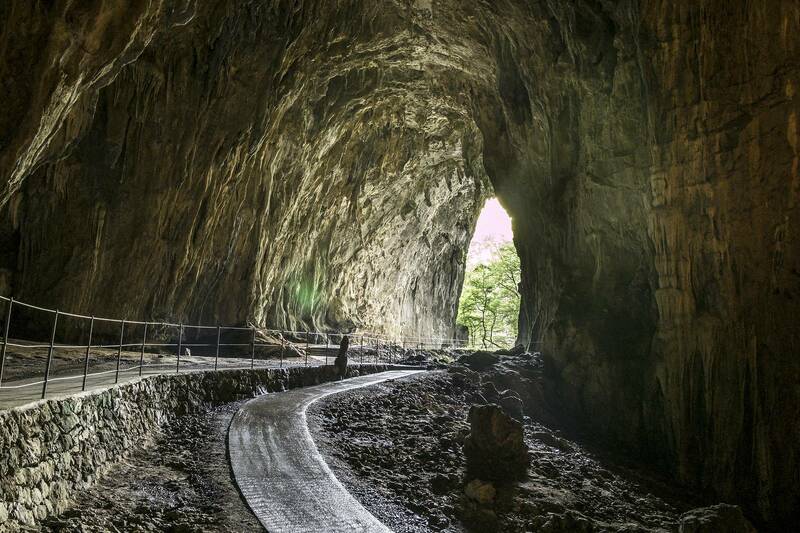 The world famous Queen of the Caves is simply awe-inspiring. Having formed over thousands of years, it has become one of most visited places in Slovenia. (Hotel 4*, meals included: breakfast). 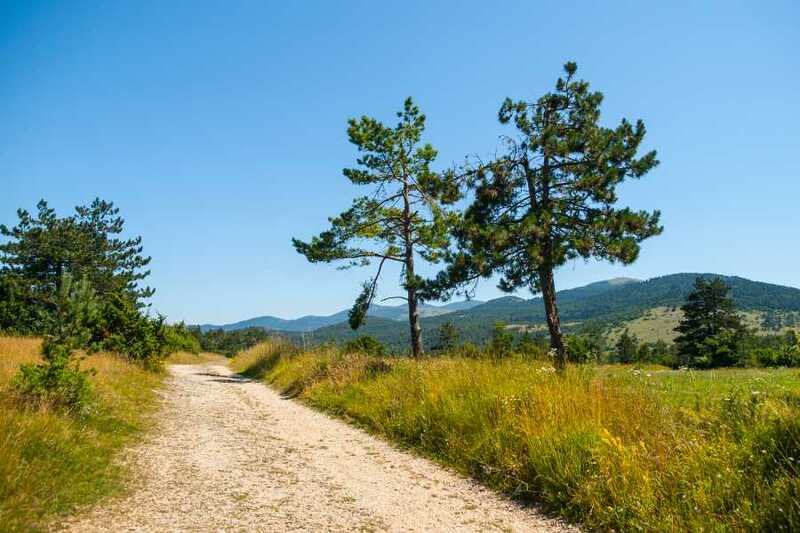 Day 4: Postojna – Divača (approx 40 km, 560 elevation m). Today you will see the second Postojna's world attraction, the Predjama castle, one of the most picturesque castles in Slovenia. 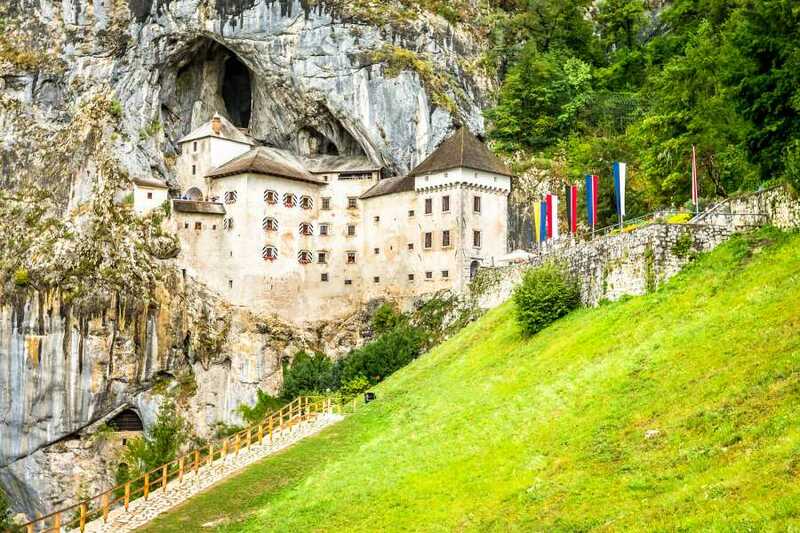 It is built into an overhanging rock in front of a karst cave hall that is connected with a cave system underneath the castle. 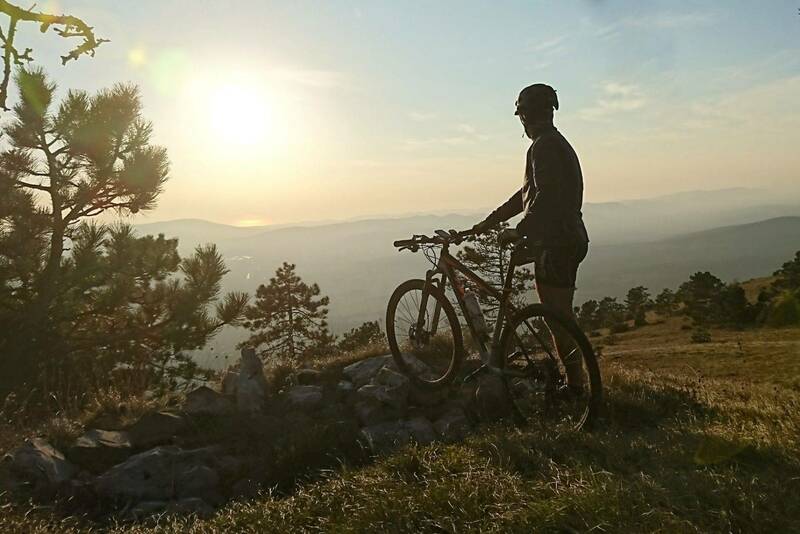 After visiting the castle, the cycling winding route continues through fascinating Karst landscape, mingled with settlements and vineyards, which give us the glorious Teran wine and the well-known Karst prosciutto. (Hotel 3*, meals included: breakfast). 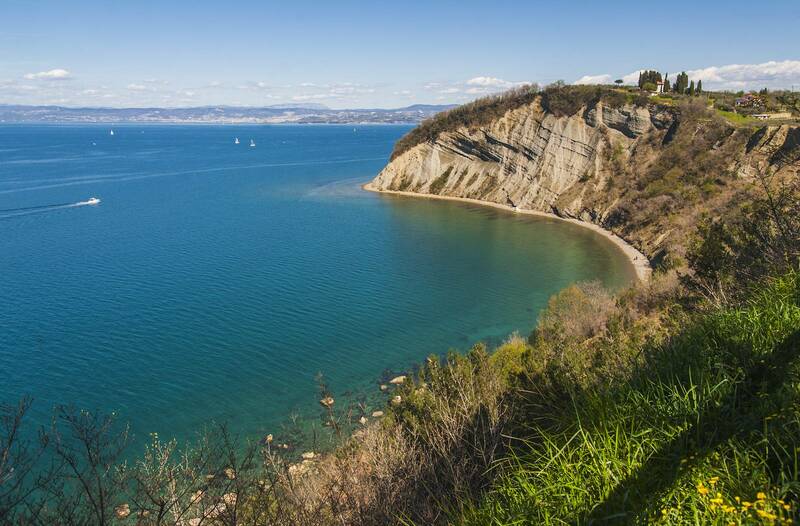 Day 5: Divača – Škocjan caves – Muggia (Italy) (approx 39 km, 350 elevation m). Only a few countries can boast of such natural phenomenon of exceptional global value. You cycle to the beautiful Škocjan Caves, which have been included in the World Heritage List (UNESCO) since 1986. 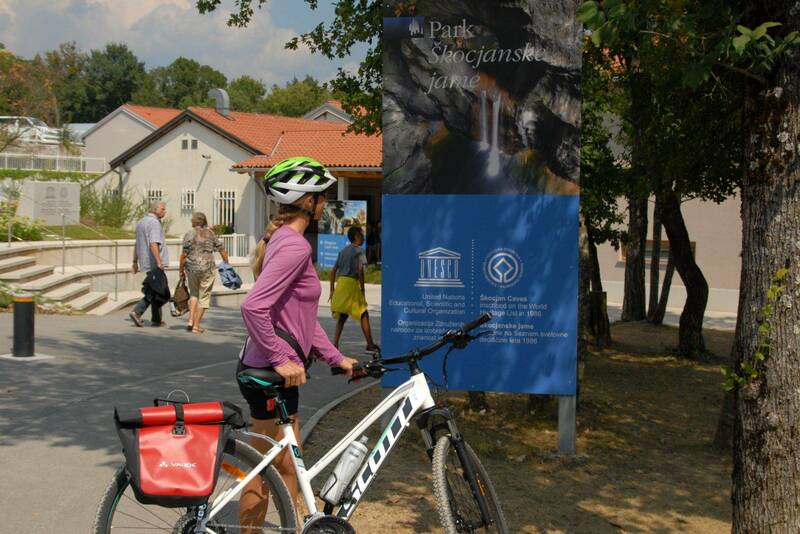 After visiting the caves, you re-mount the bikes again and drive around the beautiful landscape, crossing the Slovenian-Italian border to arrive to your accomodation for today. 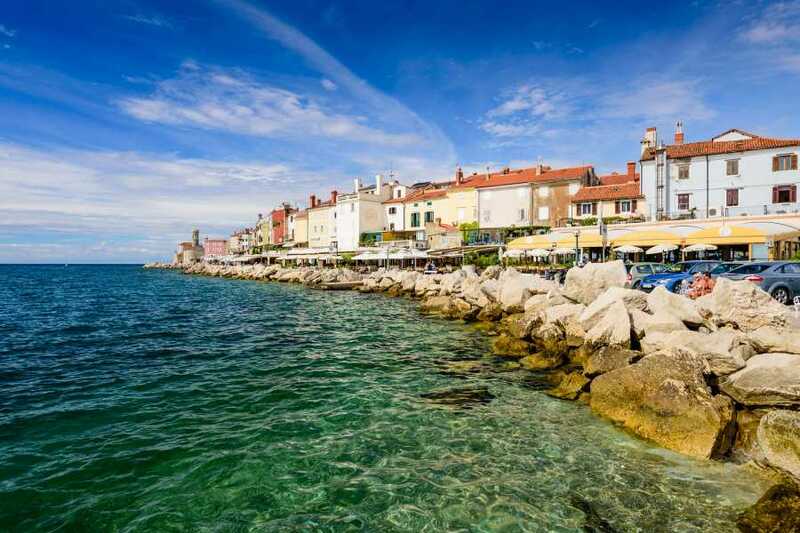 Beautiful Bay of Muggia, the only Istrian town remained to Italy. (Hotel 4*, meals included: breakfast). Day 6: Muggia (Italy) – Piran - Strunjan (approx 42 km, 500 elevation m). Scenic and just glorious cycling stage from Italian to Slovenian coast - a perfect finish of magnificent Grand Cycling Tour of Slovenia. The route will take you through three Slovenian picturesque and historical Mediterranean towns which we are sure, will not leave you indifferent. (Hotel 4*, meals included: breakfast). Day 7: Departure or extension. Price includes: 6 overnights with breakfast (mixture of good 3* and 4* Hotels with en suite facilities). 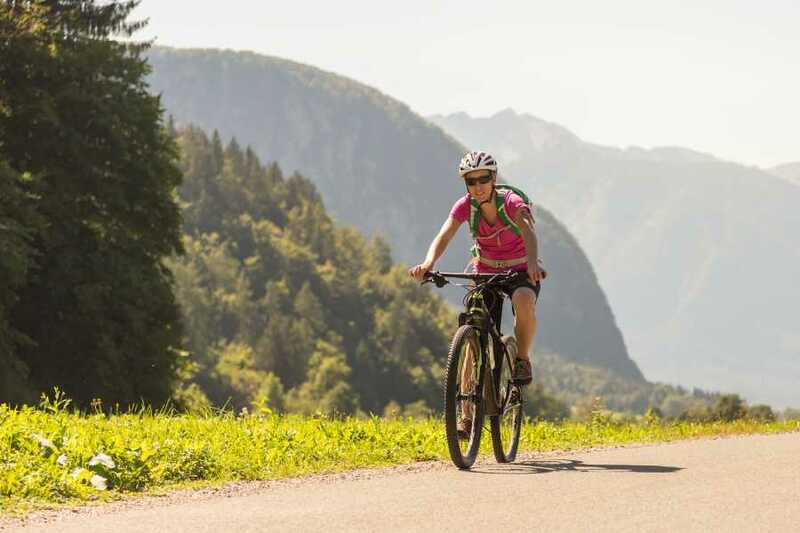 Detailed route notes, maps & gps files – one set per booking (not per person). Every additional set of route notes 35 €. Luggage transfers between the hotels. Personal welcome meeting and bike fitting (if you rented bike ). Telephone assistance during the trip. Organization and VAT. Half board supplement with 4 dinners in Hotel or at local restaurants - Euro 90,00 per person.